Please note that event ticket purchases are non-refundable nor able to be applied or exchanged for a future event. 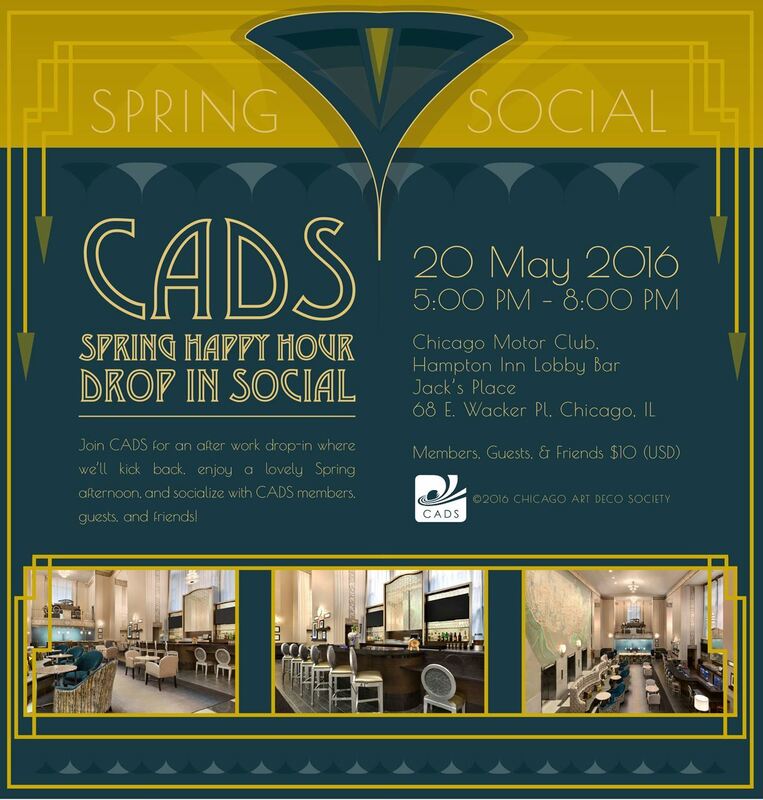 Join CADS for an after work drop-in at the fabulous Chicago Motor Club (Hampton Inn – Chicago Downtown/N. Michigan Ave.), where we'll kick back, enjoy a lovely Spring afternoon, and socialize with CADS members, guests, and friends!! !